Molds are naturally existing both indoors and outdoors and are encountered by people every day, generally by airborne exposure or by touch. There are numerous types of mold that may be encountered. Molds are beneficial to the environment in that they break down dead material. However, excessive exposure to mold can cause some people to suffer from allergic reactions, while others may not be affected. Like most living organisms, mold needs food, moisture, and a habitable place to grow. Food could include dead plant or animal tissue or even building materials such as wood or wall paper. Mold can grow in less than 48 hours. Ideal conditions for growth are temperatures between 70 and 80 degrees with high humidity and relative darkness. 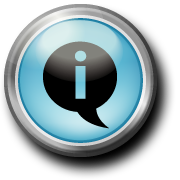 The Illinois Department of Public Health does not test for mold, nor are guidelines provided to determine what are acceptable amounts of mold. Testing for mold will not determine if health effects will occur. IDPH does not recommend testing for mold and testing is generally not useful to determine what should be done to clean up the mold. 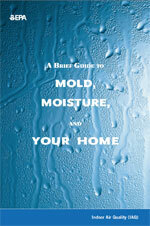 If mold is smelled or is visible, then there is a source of moisture that needs to be eliminated. The mold would also need to be cleaned or removed. Neither IDPH nor the Crawford County Health Department inspect for mold in residential properties. Both can provide assistance in the form of information by telephone and recommendations to take to alleviate conditions that may be a potential health hazard. respiratory problems such as sneezing, asthma attacks, etc.